Our client roundup highlights stories, pitches, and happenings for each client. Enjoy a quick preview and contact us for additional information. 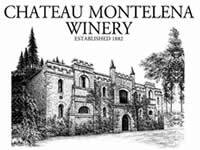 The Chateau Montelena harvest in Calistoga was blessed yesterday at its annual Blessing of the Grapes. Chardonnay and sensitive whites were all tucked into the winery well before the heat spikes over Labor Day. Winemaker Matt Crafton was quoted yesterday in The Napa Valley Register about the quality of the Cabernet Sauvignon this year. Read his comments here. As we enjoy the end of summer there is still time for outdoor grilling and BBQs. Bring along a bottle of Chateau Montelena 2014 Calistoga Zinfandel (SRP $39) for your next BBQ. The bold flavors can stand up to the hottest of BBQs, while still being refreshing. Who says summer has to end? Cockburn’s Port Lodge in Vila Nova de Gaia, Portugal, has just reopened after extensive renovations by the Symington family to provide a more comprehensive visitor experience of a fully working Port cellar. Originally built in 1815 it is the largest Port lodge in the historic quarter of Gaia and contains more Port in oak barrels (over 6,000!) and vats than any other lodge. Sections of the various buildings have been adapted to receive visitors without changing their character and primary functions. Guests are able to indulge in a glass of Port on the stone-paved patio, enjoy a guided tour of the museum which charts Cockburn’s 200-year-old history and witnesses a team of seven coopers assembling barrels in the last operational cooperage maintained by a Port producer in Vila Nova de Gaia. Before leaving the premises, visitors have the opportunity to visit the shop where Cockburn’s Ports, Port-infused chocolate, and other special gift packs are available for purchase. Read more in Drinks Business here. For more fun news, Premium Port Wines, the North American importer for the Symington Family Estates of Portugal, recently launched an Instagram account. Check it out here! Lodi Winegrape Commission Announces New Officers and Members of Board of Directors. The new 2017-18 board of directors took office during the July meeting of the Lodi Winegrape Commission. See the complete press release here. Bob Highfill former reporter for The Record in Stockton joins Lodi Winegrape Commission as the new Marketing and Communications Manager. See more information here. For 50 years Warren Winiarski has been a Napa Valley trailblazer most often cited for his Cabernet Sauvignon’s win at the 1976 Judgment of Paris. But to those in the know, Warren’s achievements stretch way beyond wine itself and into far more rewarding pursuits, including mentoring and supporting Mexican-American winemakers in California. Five Mexican-American winemakers and their families, all of whom are the children of immigrants or immigrants themselves, were recently honored at a dinner event Warren sponsored at the Smithsonian Institute’s Museum of American History for their achievements as vintners, winery owners, and winemakers. This success story and others are now archived as Mexican American California winemaker oral histories in the permanent collection of the Smithsonian’s Museum of American History. Check out this piece at Wine-Searcher by Liz Thach, Master of Wine, and this piece at The Huffington Post by contributor John Mariani who share some of these stories.